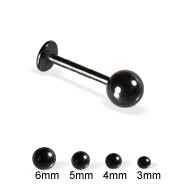 Labret is the most popular lip piercing. 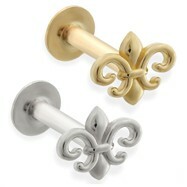 The correct pronunciation is "La-bret" not "Luh-bray". 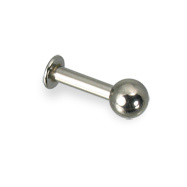 The root word is Latin labrum which means lip. 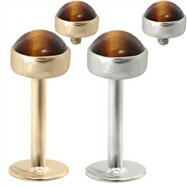 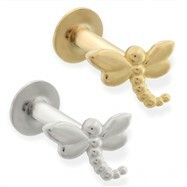 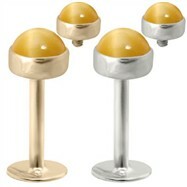 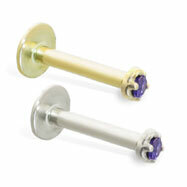 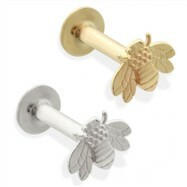 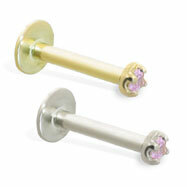 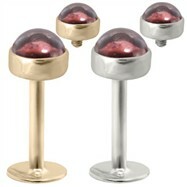 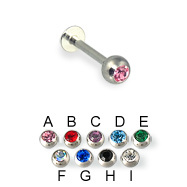 The -et suffix means "something worn on" So combination of those two creates Labret - Something worn on the lip. 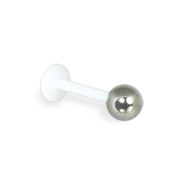 Gauge (Thickness): 14 (1.6mm) Ball size: 3/16" (5mm) Material: 316L surgical grade stainless steel Material: coated 316L surgical stainless steel Type: labret Shown: 10mm labret. 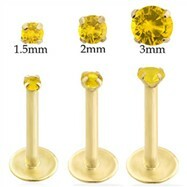 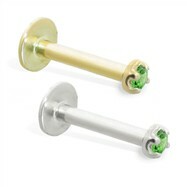 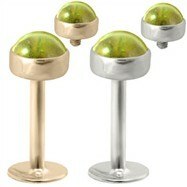 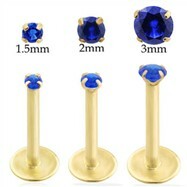 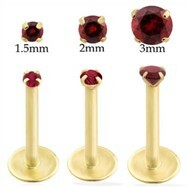 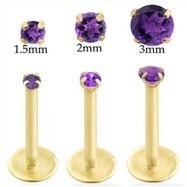 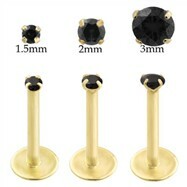 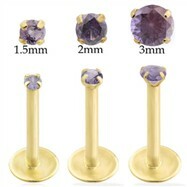 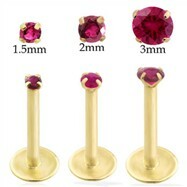 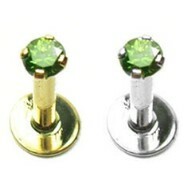 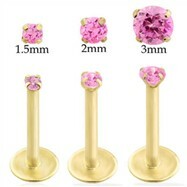 Gauge (Thickness): 16 (1.2mm) Material: 316L surgical grade stainless steel Type: labret Shown: 8mm labret with 5mm ball. 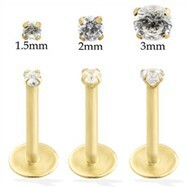 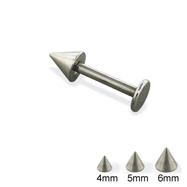 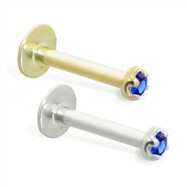 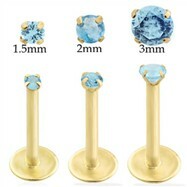 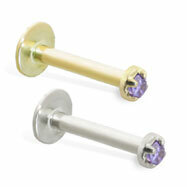 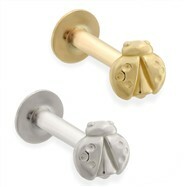 Gauge (Thickness): 14 (1.6mm) Material: surgical grade solid titanium Type: labret Shown:10mm labret with 5mm cone. Gauge (Thickness): 14 (1.6mm) Material: acrylic Material: surgical grade solid titanium Type: labret 6mm acrylic half ball Shown: 10mm labret. 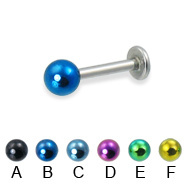 Gauge (Thickness): 14 (1.6mm) Material: titanium coated 316L surgical stainless steel Type: labret Shown: 10mm labret with 5mm ball. 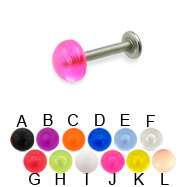 Gauge (Thickness): 14 (1.6mm) Material: 316L surgical grade stainless steel Material: acrylic Type: labret Shown: 10mm labret with 6mm ball. 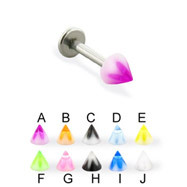 Gauge (Thickness): 14 (1.6mm) Cone size: 3/16" (5mm) Material: 316L surgical grade stainless steel Material: acrylic Type: labret Shown: 10mm labret. 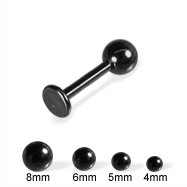 Gauge (Thickness): 16 (1.2mm) Material: titanium coated 316L surgical stainless steel Type: labret Shown: 10mm labret with 5mm ball. 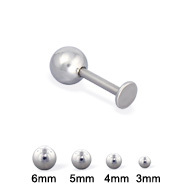 Gauge (Thickness): 16 (1.2mm) Material: 316L surgical grade stainless steel Material: crystal Type: labret Shown: 10mm labret with 4mm ball. 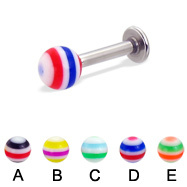 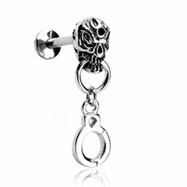 Gauge (Thickness): 12 (2.0mm) Material: 316L surgical grade stainless steel Material: acrylic Type: labret Shown: 10mm labret with 6mm ball. 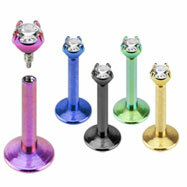 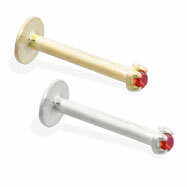 Gauge (Thickness): 10 (2.5mm) Material: 316L surgical grade stainless steel Type: labret Shown: 10mm labret. 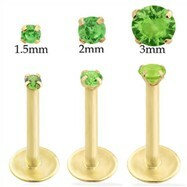 Gauge (Thickness): 12 (2.0mm) Material: 316L surgical grade stainless steel Type: labret Shown: 10mm labret with 6mm cone. 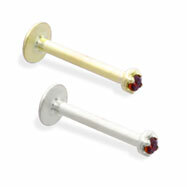 14 ga PTFE labret, flexible! 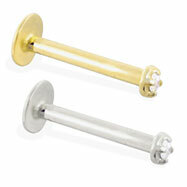 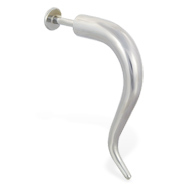 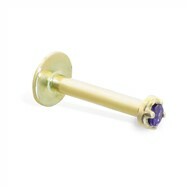 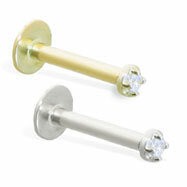 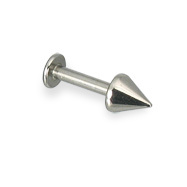 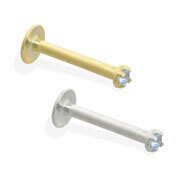 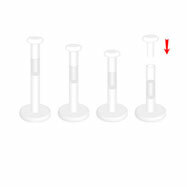 14 gauge PTFE labret with cone, flexible!